You no longer slave alone over the proverbial stove, instead your friends pile in, pour wine and give good gossip! As for the dining room? With formal now fired, walls come tumbling down as everone's cooking, working, tapping, swiping, laughing, chatting, rowing and making out on tables in the new open planned. Just to say a huge thank you to you all for my dream kitchen!! Former "alcove" Am loving it -from the expertise of the design to the excellent craftsmen who executed all I hoped for -nothing was a bother -I tried !! All handled with grace and patience John you&apos;re a wizard -Morgan -such an expert with the saw and fitting -Darrell with great attention to detail and memory to tie up all the loose ends ! You&apos;ve made someone in Salthill very happy ☺ !! Great the day I found you on the net and wandered in - I couldn&apos;t go anywhere else ! Stunning kitchen. Absolutely thrilled with the countertop and the presses and the overall redesign using ideas I would never have thought of. I love cooking again! Everything is where it should have been all along. Customer service was surprisingly good. We felt in control of everything. Really happy! We recently bought a new kitchen from Good Brother Kitchens and were delighted with the result. The salesman, Keith, was extremely knowledgeable and had great ideas in terms of the design of the kitchen. He was an absolute pleasure to deal with and made the process much easier. The standard of the fitting of the kitchen was also excellent. Overall, we are delighted with the service that we received from Good Brother and would recommend them to anyone. Great kitchen, handy that we .got the appliances sorted too. The redesigned corner units have transformed the space. Would be five stars, except i thought the 6 week wait time was too long. Good Brother designed, supplied and fitted our new kitchen, all based on our very specific requirements, and our family could not be happier. We received excellent advice during the design phase and the kitchen was installed to the highest standard. After sales service has also been outstanding. The collective experience of the team at Good Brother really shines through. Great job. The wife is ovr the moon. They even dismantled the old kitchen and took awayt the debris. One problem with a hinge was sorted immediately. Coulnt be happier. Good Brother Kitchens designed and fitted a fabulous kitchen for us. It was exactly what I wanted, installed professionally and at a price that was within our budget without compromising quality. Couldn't recommend them more. We got our kitchen from Good Brother, the service was excellent but more importantly the design was fantastic. Keith came up with an incredible design that would never have occurred to us. Keith also incorporated our bespoke needs and requirements without hesitation. Installation was a dream, there was an issue on the day when the fitter saw I was disappointed with the length of the worktop, he had a new worktop in the house within 45 minutes. The quality is outstanding, we are so happy with our new kitchen. Thank you Good Brother. We were impressed with the level of customer service. However, the design stage was the most impressive with the 4D virtual reality simulation of our chosen design. Quality units, tidy workmanship. Couldn't ask for more. If you don't see anything you like on here or you have some questions, no matter how silly they seem, to ask then we would really love to hear from you.  Why not book a free consultation with one of our kitchen designer? You can chat through anything you need, including layout and design requirements. You can even see a personalised design of your kitchen and get a quick price estimate (with no obligation to buy of course).